You do not need a rice cooker to prepare perfect rice. 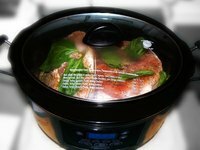 Opt for a slow cooker, also known as a crock pot, to let your rice cook for several hours to the ideal tenderness. A slow cooker heats the rice at a low temperature, allowing you to add the ingredients and turn it on before bed or going to work. This low and slow heating prevents the rice from boiling over or cooking too quickly and becoming dry. Pour ½ cup rice and ½ cup water into the slow cooker for each cup of cooked rice you want to prepare. For example, to make three servings of cooked rice, or 3 cups, add 1 ½ cups rice and 1 ½ cups water to the slow cooker. Cover the slow cooker and plug in the appliance. Set the slow cooker on low heat and let the rice cook for six to eight hours, or until the rice has absorbed all of the water and tastes tender. Fluff the cooked rice with a fork and add salt and pepper to taste before serving. Substitute an equal amount of chicken or vegetable broth for the water in the slow cooker for more flavor. Do not cook instant rice in a slow cooker as it becomes gummy. How Can You Cook Rice & Beans in a Crock Pot Together?